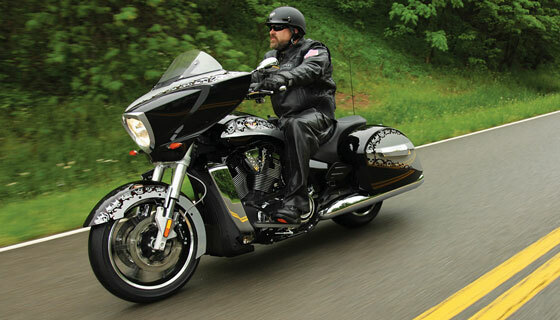 Jeanne M. Salvatore | July 18, 2013Q: How can you tell how happy a motorcyclist is? A: Count the number of bugs on his teeth. An old joke, for sure, but it brings us to an important point: A safe biker is a happy biker—know the rules of the road in your state and consider wearing a helmet at all times, even if your state doesn’t require one. What’s even happier than a safe rider? An insured safe rider. Now that summer’s here and the riding is easy, this would be an excellent time to review your motorcycle coverage. Whether it is an endorsement (“rider”) to your auto insurance coverage, or a stand-alone policy, the same basic principles apply. In most states, you need liability insurance (to cover bodily injury and property damage to others involved in an accident). Be sure to check your state’s minimum coverage amounts when reviewing your policy—it may not be enough. Always optional, but also a good idea are collision, which covers damage if your bike is in an accident; and comprehensive, which covers damage from events other than a collision (fire, theft, vandalism, falling objects). Also worth considering: emergency road service and coverage for accessories and customization. Many factors affect how much you will pay in motorcycle insurance premiums, including where you live, your age and driving record, the type of bike you own, and how much/where you ride it. So, now that you’ve got the basics, why not rev up your knowledge with more information? Review your coverage. Ride responsibly. And enjoy the road.